Spring!! | chesapeaketidings & more.. Seems it may finally have arrived. It was a long winter…. feeling especially so after having spent the last one in Key West! But now days are longer and the sun is stronger. Temperatures are rising, and ice has gone from the creek. Valinor is being readied for another season. 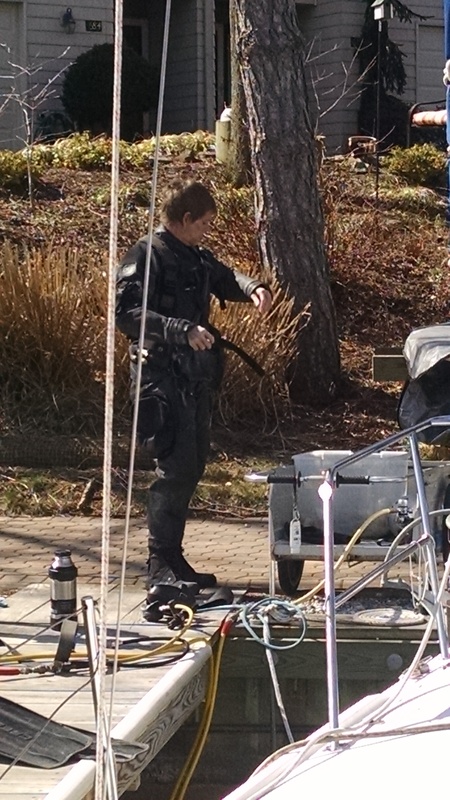 It was a nice sunny day for the diver to clean the bottom and update the zinc. The flare demonstration and exchange is an annual event of SOS. It gives skippers and crew first hand opportunities to ignite flares of several kind. It also provided an early chance to slip the dock lines an enjoy a weekend on the water. Next day was a pleasant sail in 5-12 kts making for a good start to the sailing season. 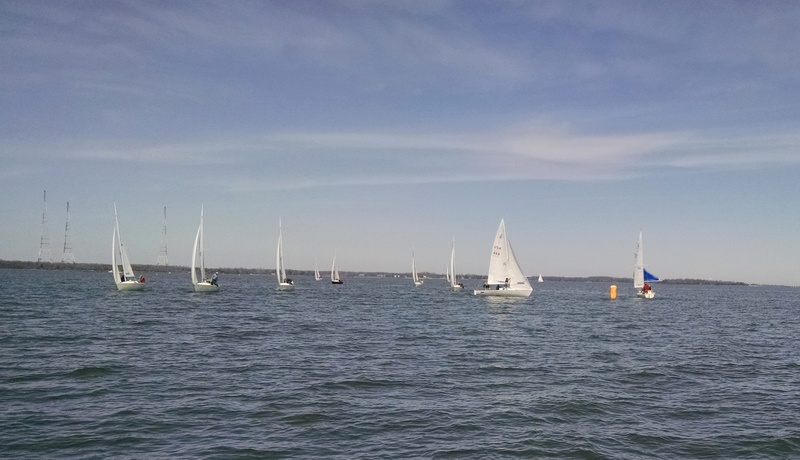 Lots of others out enjoying the moderate breeze and sun, including a race or two!